Home » Galleries » Manufacturer Showcase » Angelus is Coming! ANGELUS is a floor-standing 2--way coaxial monitor the likes of which has not been seen nor heard before. Crafted in the finest quilted-maple and plain maple veneers, trimmed in bloodwood, and finished with a deep and lustrous lacquer - mere photographs do not do it justice. Standing at a mere 34" tall with a 9" x 12" footprint, you wouldn't think that its elegantly petit proportions could produce such tremendous sound ... and yet! Disappearing completely into the soundstage, the Angelus gives no clue that it is producing the illusion projected before you. Deep and wide musical vistas become the home of stunning musical images rendered in living, breathing dimensions - like a mystical portal into the musical event itself. With bass response into the low 30's, the Angelus gives up no authority or authenticity. 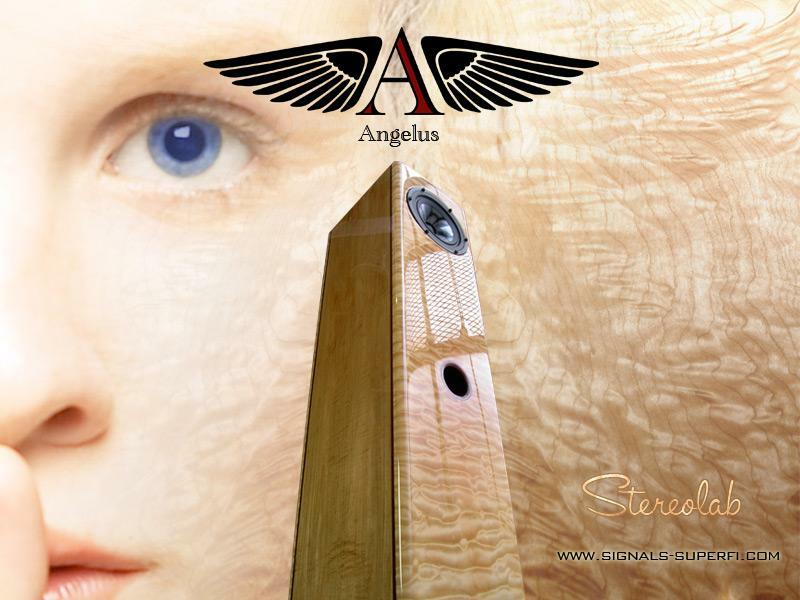 Angelus is a superbly crafted, extraordinarily finished floor-standing loudspeaker of diminutive proportions, able to project impossibly vast musical vistas while remaining sonically invisible. Hand-crafted in North America by a pair of supergeniuses for Stereolab, a wholly owned subsidiary of Signals-SuperFi, LLC.